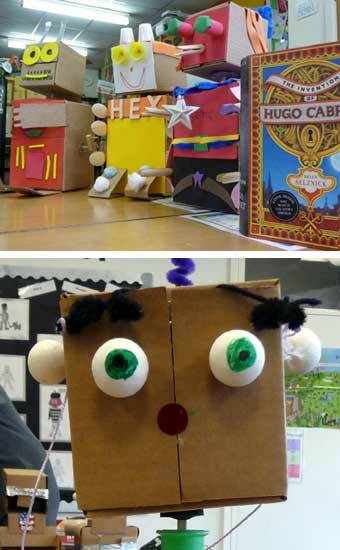 Make fantastic robots in this ‘Robox’ workshop using two cardboard boxes, a cam shaft and a pile of odds and ends. Robot heads can either spin or go up and down and at the turn of the handle. The workshop can end on a collaborative flourish by linking all the robots together into cluster groups operated by a single handle. Time slot: a school day.